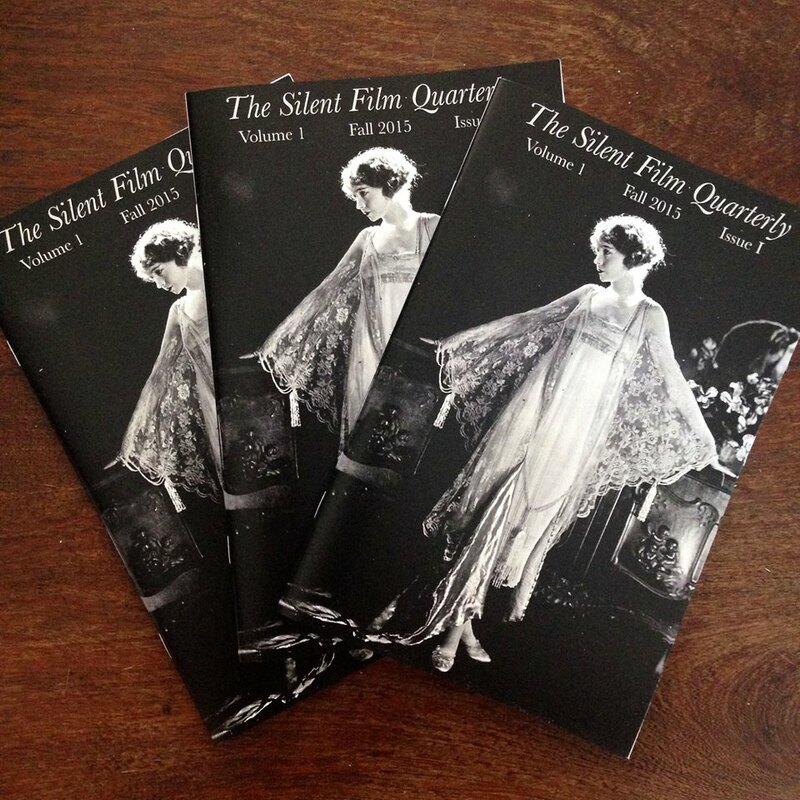 Issue 1 of Silent Film Quarterly is now out! Original features include “The Moving Picture World: Where Everything Old Is New Again” by Annette D’Agostino Lloyd, “When Silents Roared: Dinosaurs Take the Big Screen” by Cory Gross, “A Real-Life Cowboy: William S. Hart and the St. Francis Dam Disaster” by E.J. Stephens, and “Letters from the Stars: A Girl’s Scrapbook of Mail from the Screen’s First Idols” by Charles Epting. Issue 1 also includes articles written by Mildred Harris (Mrs. Charlie Chaplin), Natacha Rambova, and Greta Garbo, as well as interviews with actor Jim Beaver, “The Chaplin Guy” Jason Allin, and Eddie Cantor’s granddaughter, Amanda Gari. Stay tuned for exciting announcements about Issue 2!